Crestmoor’s newly developed Plant and Tool hire sector offers a wide range of equipment for all your needs. We can supply large plant such as excavators from 0.75t to 13t, dumpers and access lifts through to small tools like drills, breakers, saws and mixers. As a company we believe in innovation and strive to provide an outstanding service to all of our customers. 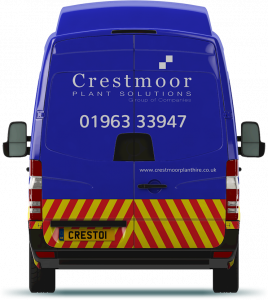 Crestmoor Plant Hire also offers break-down, servicing and refurbishment work for your own machines.